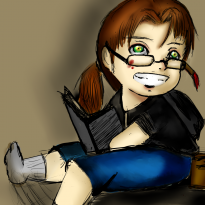 in short writer,artist, lover of books, comics,music and movies and the occasional sweets. 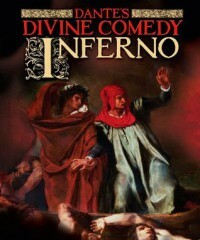 honestly I have read both Dante's divine comedy:inferno both in English and it's original format Italian. and from the general gist of what I have gotten, Dante's inferno is the first part of his 14th century poem about Dante's journey through hell to save his beloved Beatrice, now in most versions. It is Virgil a roman poet who guides Dante through hell, and in others it is Beatrice who guides him because in life Virgil was a pagan and according to religious believes at that time Pagan's were not allowed to enter paradise. now just an add on here if no one was ever told this but it is said that this story is about Dante's love for a woman named Beatrice Portinari who he met when he was nine years old and instantly fell in love with her and remand so even up until the day she died three years after her marriage to another man in June 1290 and most likely up until Dante;s own death in 1321 of September.